Sold to chinese buyers at auction for US$ 6.6 Mill. Ningbo Maritime Court has announced that it will auction the "Xia Zhi Yuan 7" online on Jan 18, 2017. The vessel was owned by Zhejiang Xiazhiyuan Ship Management, which went bankrupt after its boss, Xia Hanren, fled China to escape from mounting debts in 2015. The company has since been taken over by the court. 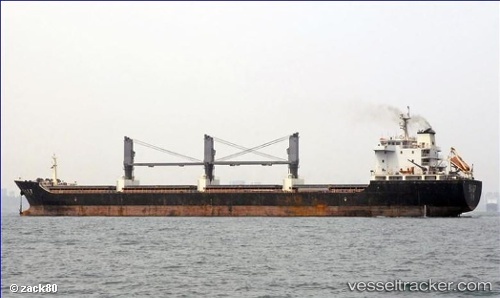 The starting price for the vessel is RMB24.3m ($3.5m). In the meantime, the court also ordered to auction two offshore supply vessels, the "Haochi 7" and "Haochi 9" of Zhejiang Haochi Offshore Engineering, a company controlled by Xia Hanren. According to a court file, the court has received total debt claim of RMB2.2bn ($316m) from the creditors of the company. The Xiazhiyuan Ship Management owns another semi-submersible vessel, the "Xia Zhi Yuan 6", which is still on contract. The creditors have agreed to keep the contract status for debt repayment and attracting new investors.